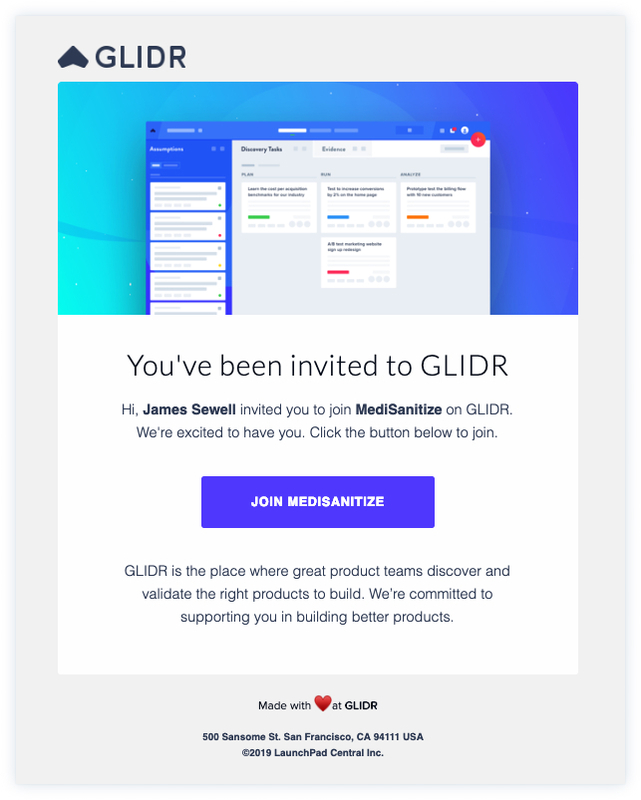 GLIDR is a great place to collaborate on your projects as a team. You can add additional team members at any point. First, click your organization name in the left-side menu, then select Team Management. Next, click the round Invite People icon. You will have the option to invite users as Admins or Members; although permissions can be changed at any time. You can invite users individually, or invite many people all at once. NOTE: Users have one week to accept their invitations! You can see which users have registered via Pending Invitations. You can view your current members and change their permission level. Click the permission level beside users' names to update it. Members are those in projects adding data and doing the work. They have no administrative access and can only participate in projects they are added to. Owners have the highest level of access, and can create projects and collections, invite and disable users, and edit the Resource Menu and Project Questionnaire fields. They can view all projects. Your invitee will receive the following email with sign-up instructions. Click here to find out more about removing members from your Organization.